Here’s a metal detecting tip on safety that many in the hobby never prepare for…if you’re in the woods, have a compass. Yes, for many of you it sounds like I’m preaching to the choir because you do bring a compass with you. But unfortunately, I’ve heard too many stories about others who had got lost while detecting, or came close to it, because they did not have a compass with them. In addition, to be safe while detecting in many of the secluded areas, you should bring along other items as well. My detecting friend John (RIP my friend) and I were in the woods searching for a cellar hole that was part of an early colonial settlement. 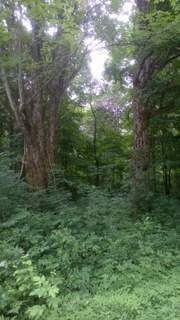 The scrub brush was thick, the trees were in full bloom, and the walking over, and through deadfall became slow and cumbersome. We decided to split up in order to cover more area. About ten minutes later, as I stepped through a patch of foot high ferns my foot got caught in a fallen tree branch that was covered by the plants. I fell forward on my chest and stomach. As I was falling down I dropped my metal detector and covered my face with my hands to protect it. But unfortunately, that protection was not enough. My chest suddenly throbbed with unbearable pain, and every breath I took caused even more pain. I could barely lift myself off the ground, but slowly got up, and painfully, while holding my chest, walked to my car. Anyway, there I was, driving home in awful pain, and John’s sitting in the passenger seat laughing and mocking my agony. Well long story short…I broke two ribs. And that accident was not the first I had while detecting. There were a few others incidents, but I won’t go into them here. I’ve always believed in being safe when metal detecting in areas that are remote. 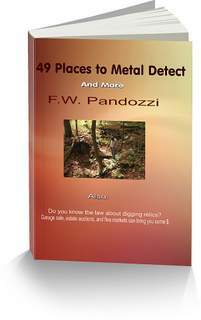 But safety in metal detecting should be practiced no matter what areas you search in. And even when you are prepared, some things just happen that are completely unplanned for or unsuspected. Some of the things that can prove to be troublesome or dangerous when your metal detecting is wild animals, especially if they are rabid, or if their young are nearby, as well as ticks that carry lime disease, especially if your in the eastern section of the U.S., mosquitoes that carry diseases such as encephalitis, poisonous snakes, lighting, getting lost, and even some people you come across can be a nuisance and cause a problem with your safety. Yes, there have been a few times when searching in remote areas that we have been confronted by lunatics who believed they controlled anyone who happened their way. Sometimes the human creature in the woods can be more of a problem than the wild animals that roam there. But that’s another story. A metal detecting tip on safety means more than just being careful while walking through the woods. The best way to protect you from any or all of the above is to carry the proper items needed in case of an emergency. I carry a pack with everything I need in case something happens, or if something goes wrong when I’m detecting. Ya it’s a burden to carry a somewhat heavy bag along with a metal detector, but better safe than sorry. The items that are tucked away in my small pack or in my pockets are: a compass, bug repellent, matches and lighters, a plastic rain cover, small flashlights, a first aid kit, aspirin, poison ivy lotion, two knives of different sizes, candy or nutrient bars and extra water. I also carry an extra set of batteries, headphones, and digging tool. In addition, I very rarely metal detect alone anymore. When I first began the hobby in the late 1960’s I was detecting in just parks and schoolyards by myself. Throughout the years as my interests changed I was fortunate to find friends who had the same metal detecting interests to search with. Now, I rarely detect by myself. And everyone I detect with has a pistol carry permit. So when we are in remote areas, a firearm goes with us. Having a pistol on one of our searches did help one time in turning away a couple of whack jobs who became a little too obnoxious for our liking. Again, that’s another story. The point of this article is simply this. When metal detecting, be prepared for any type of problem that you can think of, based on where you’re searching. As I mentioned earlier, some things happen that we can’t anticipate. But at least you can prepare yourself for those possible incidents that you know could happen. By doing so, you’re lowering the odds of something seriously going wrong. A metal detecting tip on safety that helped me that day I broke my ribs, was carrying in my backpack, aspirin for the pain. Ibuprofen is a good alternate choice. Understand what the law says about digging on State or Federal lands. A metal detecting tip about safety - be safe when searching around these areas.